The next installment in the blog series, Meet the Women’s World Banking team: an interview with one of our newest team members, Shilpi Shastri. Shilpi Shastri, Women’s World Banking’s new Microinsurance Specialist, was born and raised in Jaipur, in the northern Indian state of Rajasthan. She attended the Indian Institute of Management for her master’s degree. Stints at ICICI Prudential, Aviva and the World Bank quickly followed, with a growing focus on microinsurance. 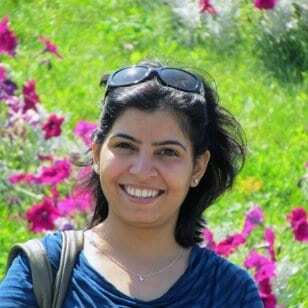 Shilpi moved to New York in 2014. Was it your goal to work in insurance, or microinsurance, after you got your master’s degree? Not really. Insurance is not considered as an ambitious career option by a lot of management graduates. I knew I wanted to be part of the financial services industry, but I wanted to explore new opportunities. During my MBA, ICICI Prudential came to our campus for recruitment and I was quite inspired with the team and their presentation. It was a new organization back then and was emerging as a strong player and thought leader in the market. Fortunately, they made an offer. It was probably the best decision I ever made. Never regretted it. I got an opportunity to work with a lot of great minds and dedicated people. The stint with ICICI Prudential helped me a lot in learning about insurance, work ethics, strategic thinking and overall development as a professional. Were you involved in microinsurance right away? I spent the first six months in on-the-job training, mostly in sales. Then I got my first assignment with the health insurance products team in Mumbai. I worked there for about two years. Then I shifted to Delhi, which is when I got the opportunity to work with the microinsurance team. How did the idea of developing insurance products for low-income populations evolve? People in the low-income sectors in most countries have been buying insurance for a long time. It’s not a new concept. But microinsurance started gaining momentum and visibility, in recent years, from 2000 onwards, I would say. I can give you an example from India: For many decades there was just one life insurance company, the state-owned LIC (Life Insurance Company of India). It has been providing affordable insurance to the low and middle income population for 70 years. It is a pioneer, in a way. When the insurance sector opened in 2000 for FDI and private players, the government mandated the newly formed private insurance companies serve the underserved low-income and rural population. A lot of these companies approached this segment as a strategic opportunity and a lot of innovation has taken place in the field of microinsurance to make the model more efficient and scalable. That’s how microinsurance got momentum in India. What will be your first big project at Women’s World Banking? The second project is developing a savings-linked insurance product for low-income women in Jordan with Microfund for Women (MFW). We have completed the secondary research, clients’ needs assessment and product design. The next step is to prepare an implementation plan for the pilot at a few strategic branches at MFW. Have you always been interested in women’s financial inclusion? I do have a very personal experience to share on how access to financial services can empower women. I was very young when my father passed away. My mother, who used to be a housewife, suddenly had to work. We received some insurance money after my father’s death, and it did help us in staying afloat. She would also get regular short term credit from the bank (where she was employed) to meet her financial needs. This ensured that my mother stayed confident, independent and could educate her children on her own. It is this impact of financial inclusion which inspires me.